Award-winning writer Brian K. Vaughan (PRIDE OF BAGHDAD, Y: THE LAST MAN) uniquely combines big city politics and superheroes in this criticially acclaimed series. Set in our modern-day world, EX MACHINA tells the story of civil engineer Mitchell Hundred, who becomes America's first living, breathing superhero after a strange accident gives him the power to communicate with machines. Eventually Mitchell tires of risking his life merely to maintain the status quo, retires from masked crimefighting and runs for mayor of New York City, winning by a landslide after the events of 9/11. 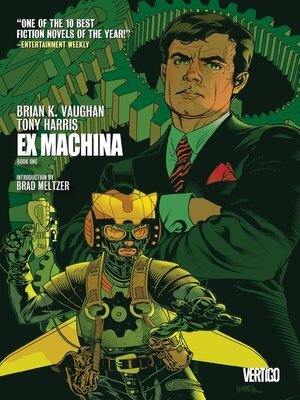 Illustrated by Tony Harris, EX MACHINA BOOK ONE is the first chapter of one of the finest series ever from Vertigo. Collects issues #1-11.